IDF, Shin Bet find rifle used to kill 2 in attack on bus stop last week. Hunt for terrorists continues. The IDF announced that its forces, along with the Shin Bet, had located and confiscated the firearm used in the shooting attack at the Givat Assaf Junction last Thursday. 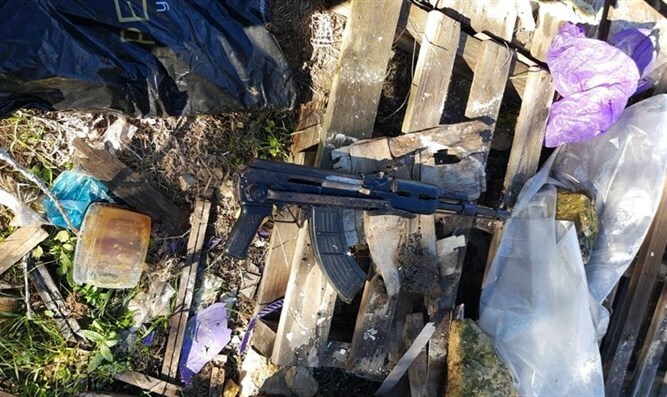 The gun Israeli security forces found was a Kalashnikov assault rifle (AK-47), which was located with several magazines. The forces also found the stolen weapon of one of the soldiers who was wounded in the attack. Two soldiers were killed and two other people were wounded in the shooting, including a soldier and a civilian. The hunt for the terrorists who committed the attack is still underway.